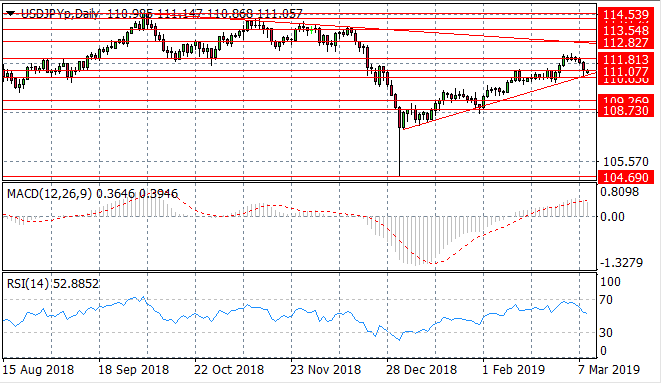 The USD/JPY pair has begun to rally however, there has been a pullback in the uptrend which has the pair testing an ascending trendline- having broken the 111.07 price level. Each time the pair has hit this trendline, a bullish bounce has followed; indicating it is a key support area. Momentum indicators have pulled back from bullish positions and RSI is pulling away from overbought conditions. 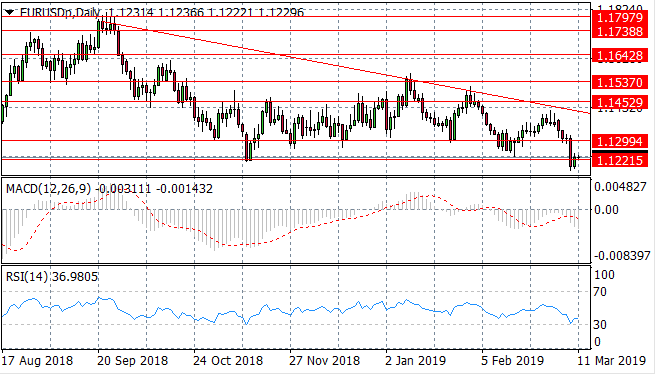 The EUR/USD pair has begun a bullish break of the 1.122 price level which represents a long-term support area. The pair has then returned to a recent trading range between the 1.129 and 1.145 price levels. 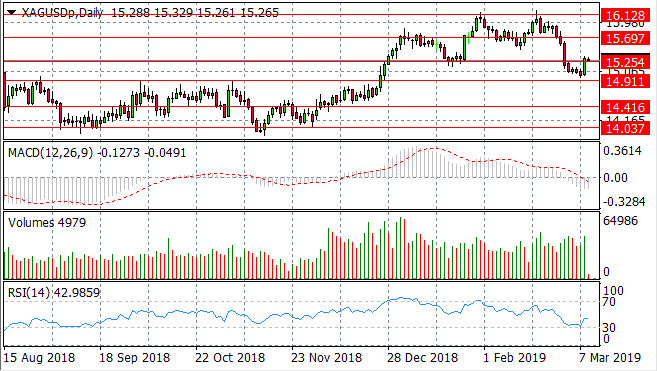 Momentum indicators appear to be undergoing a momentum reversal and if bullish support continues, price action may climb towards the 1.129 price level. 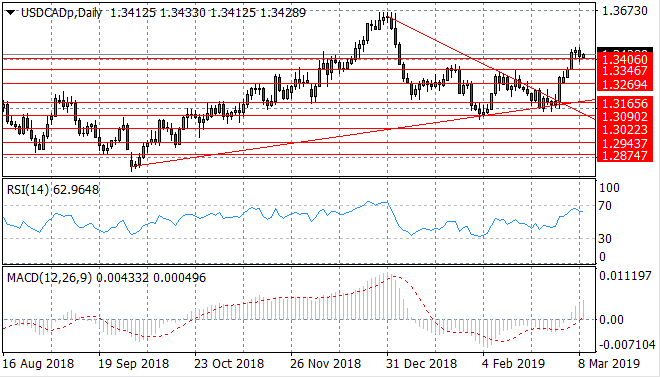 The GBP/USD pair is testing a new support level at the 1.292 price level and is also testing the ascending trendline, which again, represents a key support area. Momentum indicators are bearish with both RSI and MACD undergoing momentum reversals, however RSI is approaching oversold conditions. 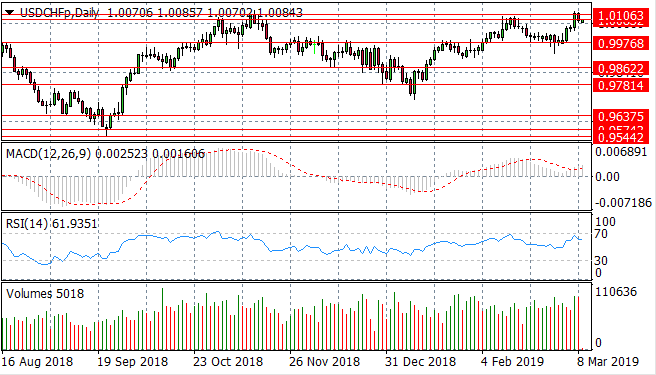 The USD/CHF pair has pulled back from the 1.010 price level which represents a recent price high. At the same time, RSI has pulled back from overbought conditions and selling volume has risen which suggests further downside for the pair. 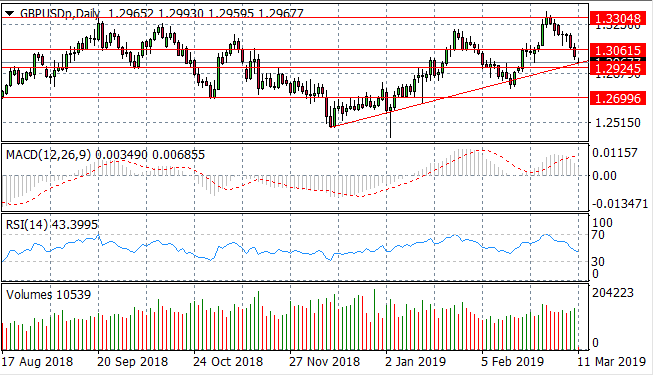 The USD/CAD pair has continued its upward trajectory with a breakout rally pushing passed several resistance levels and climbing back towards previous price highs. A slowdown in the rally has the pair testing the 1.340 price level. RSI is pulling back from the 70 resistance level and MACD has broken the zero line to the upside. 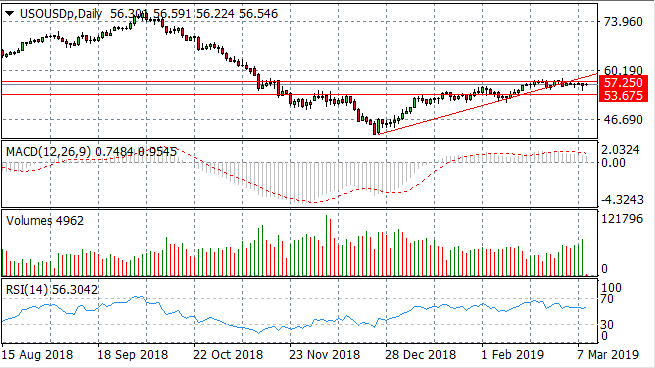 Silver sellers are testing the 15.25 price level after bouncing back from the 14.91 support area to enter into the 15.25 and 15.69 price level. Momentum indicators have turned bullish with RSI pulling back from the 30 support level. Buying volume has been rising in recent trading. Gold has once again pulled back from the 50 retracement area where a series of doji candles had developed. 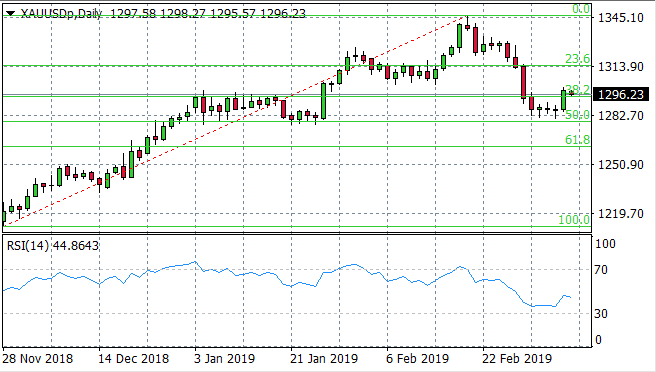 The pair may return to the previous uptrend after having broken the 38.2% retracement level to the upside. At the same time, RSI has pulled back from the 30 support level. WTI buyers have lost steam resulting in a moderate break of the 55.74 resistance line. As a result, it has now formed as a support level for the commodity. The next target will be $60 per barrel at which point prices may stabilise. Momentum indicators are moderately bullish, although RSI is pulling away from overbought conditions.